Remember the Google self-driving bike last year? That was cool! We’ve partnered with Mighty-o donuts to sow their next crop of doughnuts. 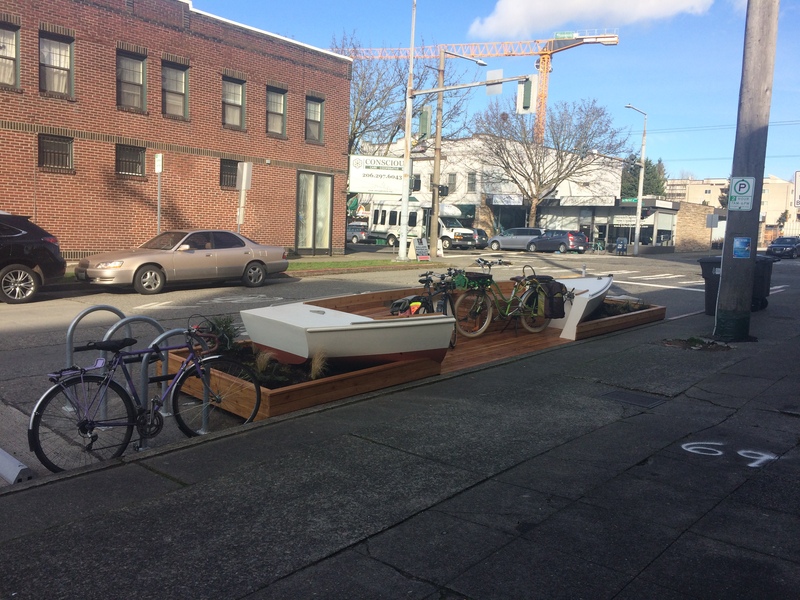 This season they’ll be planting along the ship canal where conditions are perfect for spring-time doughnut farming. 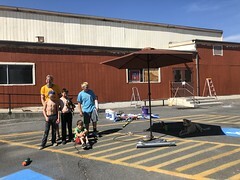 We’ll meet at the Fremont Dinosaur Topiary for seed sowing and hanging out for a bit before we head to the Ballard Mighty-o donuts for ripe doughnuts (from last season’s crop that grew in Discovery Park). One mini doughnut provided for each participant courtesy of the SKMAA (Seattle Kidical Mass Agritourism Association), but feel free to buy your own full-sized goodies…and if you have a Bicycle Benefits sticker on your helmet (available at Mighty-o if you don’t have one yet and want one) it’s buy one doughnut get one free! After Mighty-o we’ll head over to spacious and kid-friendly Populuxe Brewing. The food truck is Peasant Food Manifesto and starts at 3pm. That’s a little too exciting for my own kids, so I might pop down a few blocks to Giddy Up Burgers & Greens. No joke here, 30 Days of Biking kicks off April 1st and it’s a wonderful event! There’s no minimum distance–down the block and around your basement count just like a 20-mile commute or a 350-mile charity ride. If you miss a day, no worries–just keep riding and don’t give up! It’s all for giggles, or as serious as you want it to be. What matters is that we’re all in this together. Pledge to ride here and kick off the month in style! 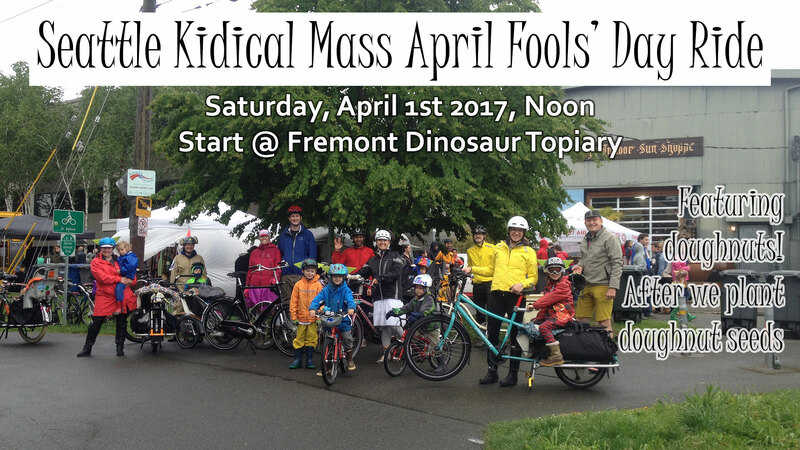 Kidical Mass is a fun, safe, easy-going, and law-abiding family bike ride for kids of all ages. It started circa 2008 in Eugene, Oregon, and has since spread to other bikey burgs, like Seattle! Our group rides include a nice mix of experienced cyclists, and folks just getting started. We hope to educate bike-curious parents about ways to bicycle with children, help kids learn to ride safely in the city, and increase the visibility of family biking on Seattle streets. Kids are traffic too! All manner of bikes and high-occupancy velos are welcome.